Recently, the government invested more than 50,000 yuan to improve the traffic safety facilities in the 107 national road in the border of Hankou and Xioagan. 108 solar road studs, 100 cat eyes, 60-meter speed brake, and 2 traffic signal signs are installed in this section. According to the leader of Order Department, since the establishment of collision wall, the safety condition of 107 national road has improved greatly. But the flaw in design and the special environment in this section bring differences of the drivers in mental and vision, which has hidden troubles in traffic. Considering the features of this section, 100 deceleration strips, which are 20cm wide, are set in the center of the road in the interval of 2 meters 200 meters away from the collision wall, and the new type solar road studs are installed to give rise to the drivers’ attention. 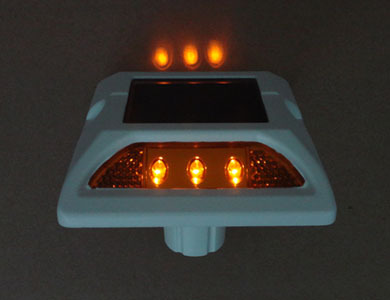 The solar panel on the solar road stud absorbs solar energy in the daytime, and give out strong light at night. It is known that the new type solar road studs are first applied in Wuhan. Drivers always driving in this section points out that after the installation of the traffic safety facilities, they can know the road condition in advance and the light give out by the road studs beautified the city. 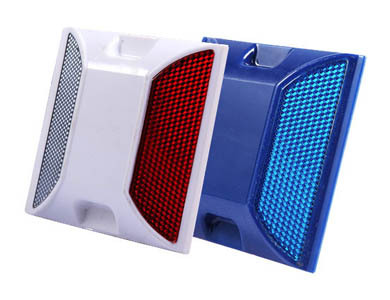 The solar road stud is a kind of traffic safety facility which is widely used in recent years, and it used the solar energy, which is in accordance with the philosophy of environmentally friendly. Compared with the ordinary road stud, the service time of the solar road stud is much longer, and it is maintenance-free, which saves the maintenance cost. The officer says that for the solar road studs work well in this section, more traffic safety facilities like solar road studs and cat eyes will be applied in more roads to prevent the happening of traffic accidents.